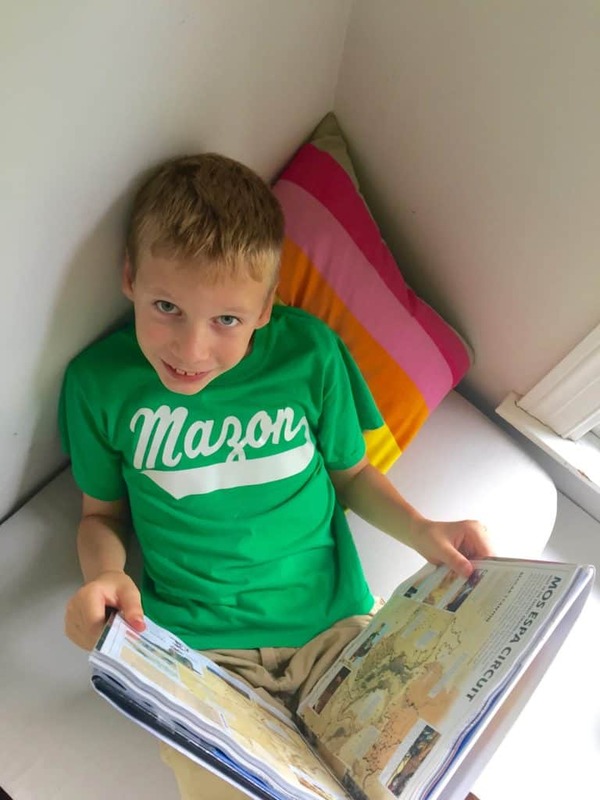 Adhd homework battles may be a common occurrence in your household…I know getting my ADHD kiddos to do their homework can be – to say the least-extremely challenging. 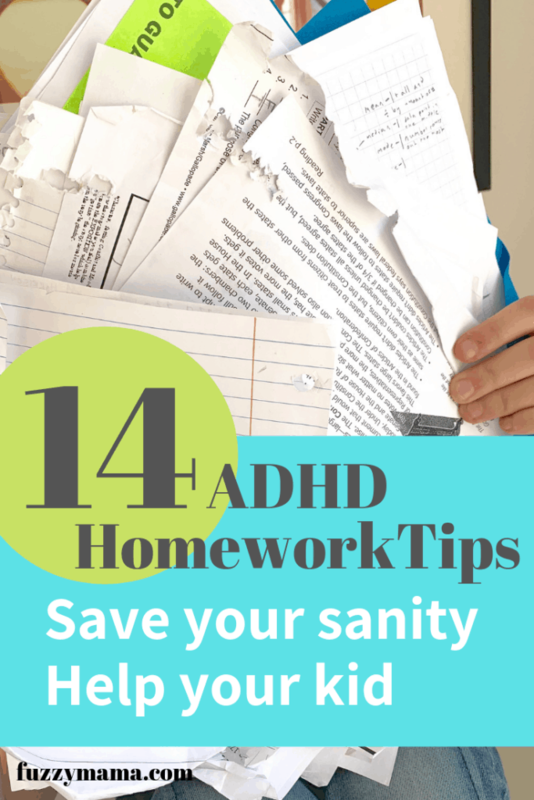 I have learned a lot – and continue to learn, but I do have some great adhd homework tips that have really worked for us. Over the past 5 or 6 years, homework stress and adhd homework battles have been a real thing for us. My ADHD kiddos, now 10 and 12, have given me lots of opportunities for learning how to handle difficult homework dilemmas. Our homework issues have included: chronically forgetting homework, lying about and avoiding homework, forgetting needed supplies at school, not knowing what the assignments are, resisting writing homework assignments in planner, forgetting planners at school, and last, but certainly not least, resisting big projects or long writing assignments. Whether your kids are just starting with homework or you’ve waged a few wars over homework, yourself, here’s our best adhd homework tips. 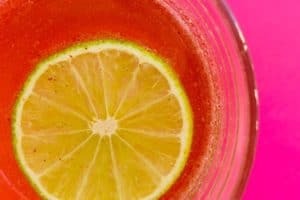 Read on – maybe there is one you have not tried! Establishing a good rapport with your child’s teacher(s) is paramount. Right from the start, share as much as you can about your child’s work habits, and any tips and techniques about what you’ve found works best for your kid. The more information teachers have about their students, the better. Homework troubles often stem from school issues, like not getting work done during the day, or not listening in class. Making the teachers aware of your kids’ struggles and strengths is the first line of defense. The better equipped the staff is at school, the better off your kid will be, both in and out of school. Staying in direct communication with the teacher thru email or texting can be a life saver. I have contacted teachers countless times to clarify assignments because my son wasn’t paying attention in school or to have them email over a second copy of the assignment still sitting in a desk at school. Sometimes, it is just being able to communicate that homework will not get done on time, despite everyone’s best effort. Most teachers are very accommodating when you are honest about your predicament. Can you tell which desk belongs to your kid on Back to School Night? Is it the one with hoards of paper falling out? Does everything seemed to get swallowed up into the black hole that is their locker? Helping ADHD kids get organized at school is an extremely helpful first step in bringing homework home. If their desk or locker is stuffed to the gills, the harder it is for them to find their books, supplies, and homework papers. Quarterly locker/desk clean out – No teacher would mind you showing up after school for a thorough desk or locker clean out. I’ve done this many a time, making sure it is after hours, so my kids are not embarrassed. Weekly backpack clean out – This can become part of your family’s weekly routine. Dump everything out of your kiddo’s backpack once a week. Sit with them and go thru what can be saved or thrown away. This is a great way to teach a useful, life-long, habit. Get them the right tools: We have found some tools to be so helpful, in fact, we can’t live without them! 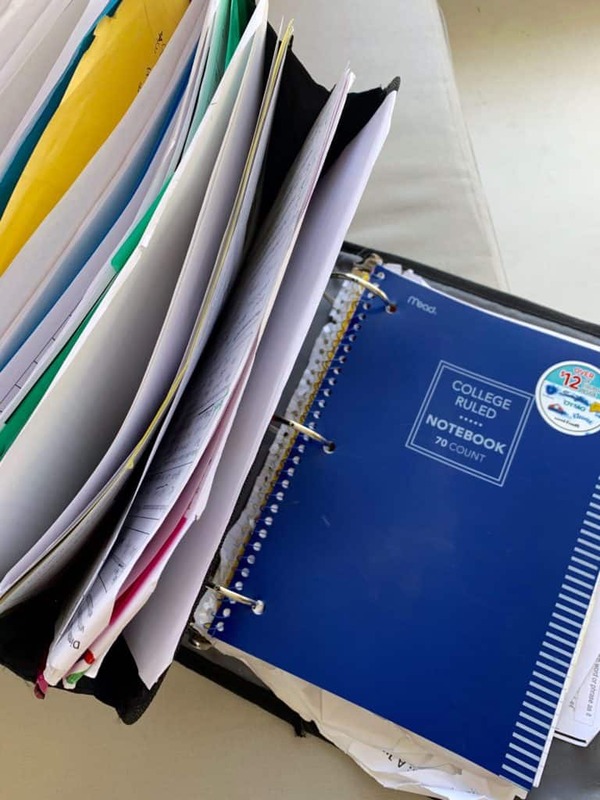 This Case – It binder ( see picture above)has helped my middle schooler keep all of his papers together – no more forgotten folders or notebooks because everything is in one place. And it has lasted two years and is still going strong. This hanging locker organizer and locker shelf make it so much easier for him to keep his locker reasonably tidy so he can find what he needs. Keep their desk/study space at home clean and tidy: Weekly or monthly clean ups may be in order for their home study space, too. Modeling this goes a long way and eventually they will become more proficient in this area. 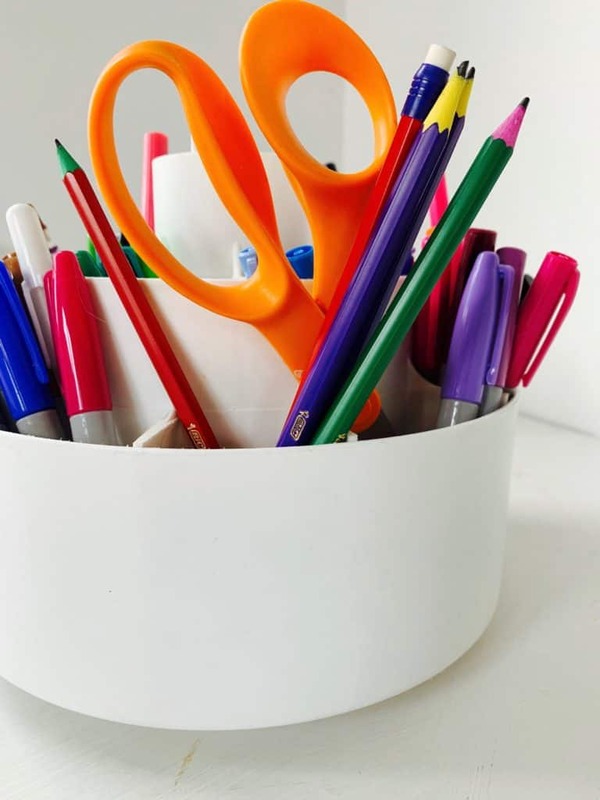 We love our rotary desk organizer for holding just about everything needed for homework in one place. It is so important to get kids really proficient at keeping track of their own homework assignments. This can be super tough for ADHD kids because it involves some executive functioning skills that may be slow to develop. Certainly, this will be an ongoing process and one that you will probably scaffold for a very, very long time. For lower elementary kids, this means YOU, most likely, will have to go through backpacks and folders with your child to find homework assignments. As kids get older, emptying out their backpack will become part of their daily routine. Somewhere around middle school this process becomes more complicated than emptying out a backpack. Homework comes daily from multiple subjects and can involve projects, computers, other people and lots of directions. You may have to test a few different things before you hit on a method that is successful for your kid. Often the school has a process in place, like writing in a binder during homeroom, which may or may not work for your kid. It is so important to keep the conversation going while letting your kid experiment until they find what works for them. They can try writing assignments in a planner, on a computer spreadsheet, or on an index card or post it. You may have to cycle through several methods a few times before one sticks. The earlier you start with this the better, so by the time kids hit high school they have practiced this skill and have found their preferred way to record their assignments. To be honest this has been a real challenge for both of my kids. We’e tried paper planners, google planner, getting teachers to sign a homework sheet, etc…and we are still searching for the right method. Luckily my older son’s school has a daily spreadsheet that I have access to, so I am the back up plan right now…not ideal, but remember, it is a process. 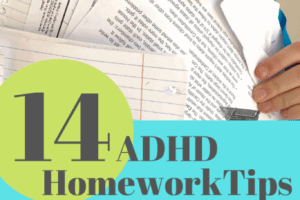 ADHD homework battles can be helped immensely with ADHD homework tip #4 – creating a dedicated study space. Ideally the space is free of distractions and quiet, with all needed supplies at close hand. Think outside the box with this one- A study space does not have to be a desk. Preferably it is not in a bedroom or other room away from your watchful eye. Most of my older son’s homework is done sitting in a certain corner of our sofa, directly under the reading light. His feet are up on the coffee table and I am close by. Kitchen or dining room tables, a cubby space in the laundry room or on the family room coffee table are just a few examples of study space possibilities. Keep supplies close with a caddy or pencil cup, if needed. My kids are getting older, so all they really need is their computer. 5. Set up, and keep, a homework routine. An inviting study space is just one part of your adhd homework routine. Just like mornings or bedtimes, the transition from school to home(work) can run smoother when a routine is in place. Be sensitive to your kids because this transition time may be harder to make than you think. Choose an after school routine that fits your child’s needs and schedule. Make sure the routine can bet flexible for after school sports and activities. 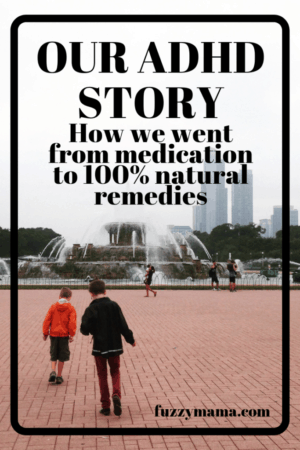 A small break is advisable when your kiddo first walks through the door. 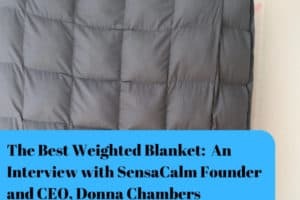 This time to decompress and connect with your kid can have exponential benefits to your relationship. Then, backpacks can then be emptied and homework time can begin. Both of my kids really need about 20 minutes when they get home from school or sports to just “chill”. It does mean that sometimes dinner is later or eaten while doing homework, but without that time, the whole evening just collapses. Getting completed assignments returned to school or handed in also should be part of the homework routine. Pack backpacks with assignments as soon as they are finished. Scan in homework and email it in, if that is an option. Placing backpacks by the door before going to bed is a great way to end your daily homework routine. 6. Create a few rules. 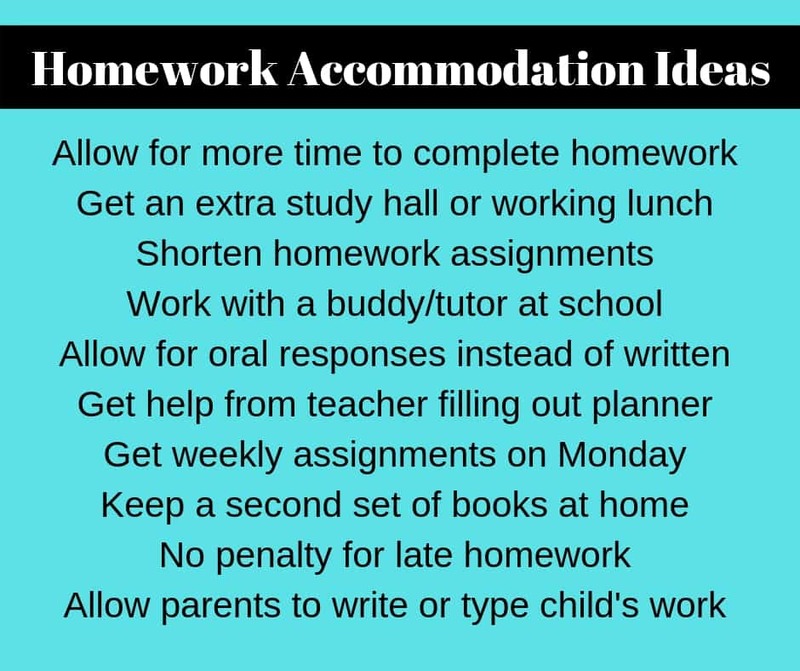 ADHD homework tip #6 is having some “non negotiable” rules in place for homework time. For instance, it may be necessary to enforce a “no phones out while doing homework” rule , and “no food or drink near the computer” rule. Rules will vary, of course from household to household, and kid to kid, but it is okay-and probably necessary- to have these in place. Have a conversation about these rules with your kids, but in the end, it’s your decision. 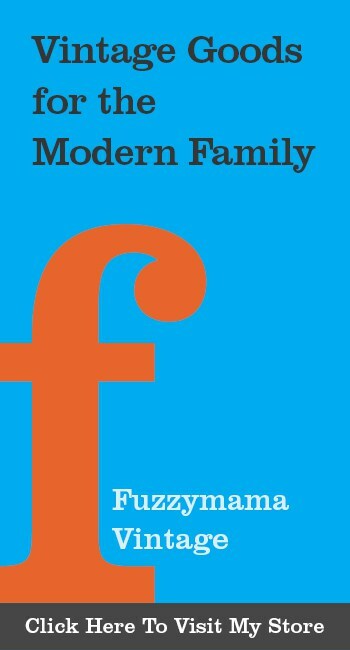 Your kids may grumble, but you are the parent, after all. Our homework rules also include “no screen time on weekends until all missing homework is completed”. This has curbed some of the homework avoidance during the week and helps to get any missing homework completed at the start of the weekend. I find that staying in close proximity while my kids are doing homework is extremely helpful. Being able to answer questions, provide help when needed, or just monitor what’s on the screen are all great reasons to stay close by your kiddo when they are doing homework. Someday, my kids may be able to do homework alone in their room, but for now, they are just way to easily distracted to have this work for us. 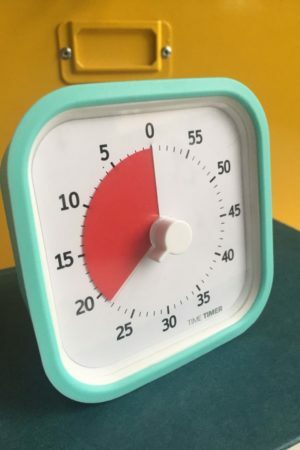 I’ve written about how much a timer helps our ADHD homework time in this post. Our timer is seriously is the most used product from my ADHD resources list. Not that I am keeping score, but I win just about every homework battle with this darn timer. ADHD kids usually suffer from time blindness – an inability to correctly feel or predict the amount of time something will take. The idea of sitting down to do homework may be extremely unappealing because ADHD kiddos think it will take hours. So, I use a timer to entice my son who hates homework, to sit for 10 minutes – just 10 minutes and “let’s see what we can accomplish”. Usually 10 minutes is all it takes to get a big chunk of the assignment done and when my son sees this, he is willing to finish off the assignment -or take a break and come back for 10 more minutes. 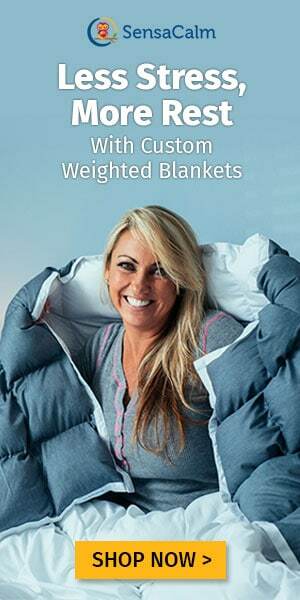 We use this technique to tackle longer projects too. Working in small chunks, makes even the biggest of projects more manageable. 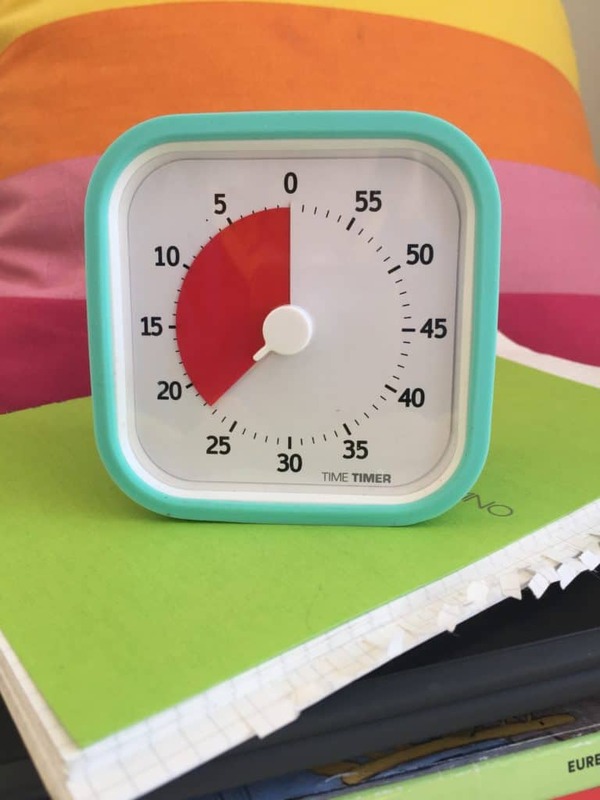 The timer not only makes homework time easier, but, it is teaching my kids several things: My children’s sense of time is growing. They realize what 10 minutes (or 5 or 20) feels like. Also, my kids are learning how much is possible in that relatively short period of time. We use the timer for breaks, too…..that way it’s the timer telling my kid their break is over…not me! We love our timer so much, we purchased one for my son’s class. To stay focused for long periods of time, it is vital that kids be allowed to take breaks during homework time. Talk with your kids before they start their homework time to get an idea of the kind of break they’d like and how long they can work before break time comes. There are many options for breaks —snack break, outdoor play break, walk around the block break, reading break –you just have to find a few options that work for your family. We tend to shy away from screen time breaks because it is harder to stop the break and get back to work. My kids like to jump on the trampoline, have a snack, or read for 5 or 10 minutes. We use our timer to remind us when break is over. 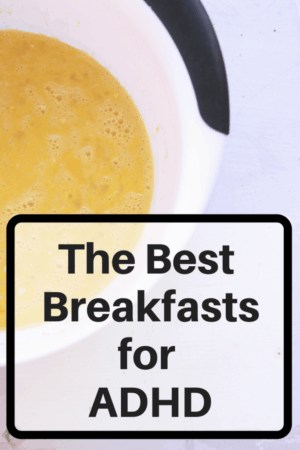 Kids are usually exhausted after school and need a bit of refueling. After school snacks should be healthy and include some protein and fat. Nuts and raisins, hard boiled eggs, veggies and dip, hummus and gluten free crackers, and cowboy cookies are some great options. My kids start off eating whatever is left from their lunch before having something new. (Remember, I don’t make a big deal about my kids finishing their lunches)Then, I offer healthy options and make sure they do not spoil their dinner. 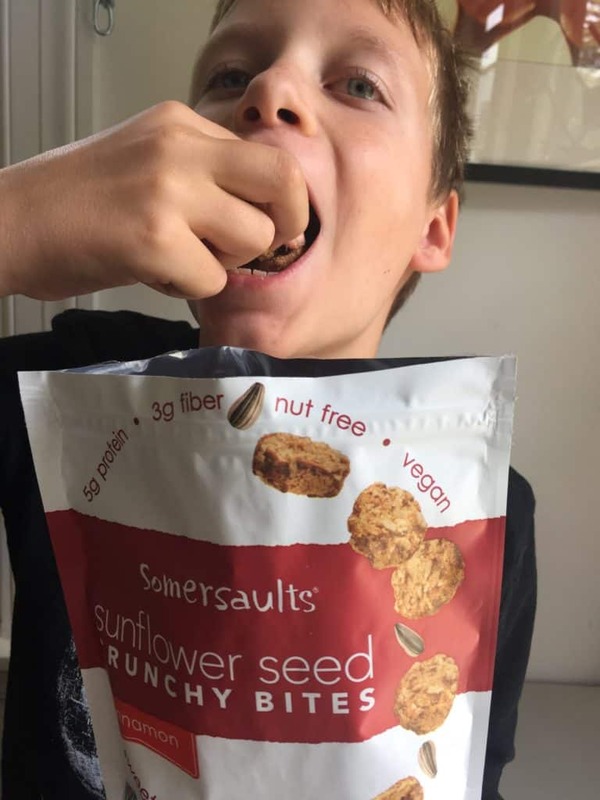 Our favorite snacks include Kids Clif Bars, Sommersaults(great nut free option), olives, Hippeas, and Peanut Butter and bananas. 11. Figure out what works for your kiddo. Finding what works for your kid is so important. In our house, both kids need a break right after coming home to read and eat a snack. One son loves to listen music while he does homework—but I make sure his acoustic playlist is made before hand so there is no surfing from song to song while he is also trying to do his homework. Family work time happens a lot at our house. We all work at the same time, in close proximity. I sit down on the sofa next to my son and work on my computer while he is working on his homework. It means I am nearby to watch his screen use and answer questions, but not paying so much attention that he feels stifled. I am modeling my own quiet work time and getting something done at the same time. I find that this really helps my son stay on task longer and finish bigger projects, too. Do not be afraid to amend a 504 plan at amy time during the year. I’ve already had two meeting this year to tweak my son’s accommodations. Aren’t we all a work in progress? 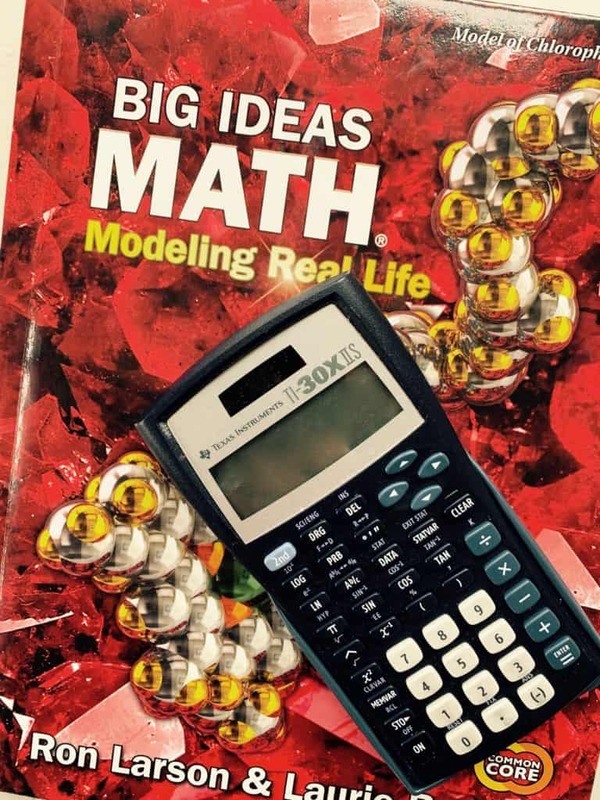 Remember, there are no homework emergencies. It’s not worth a huge fight, continuous tears, or big family drama. Somedays, it is OK to give in, let go and realize that homework might not get done. Send a quick email to the teacher and move on with your evening. Tomorrow is a another day.